Thanks for the giveaway. Love all the cool giftcards. Woo hoo! My birthday is coming up! I already follow Totally Target on FB! ME! ME! ME! Thanks for another giveaway! Thanks for the chance. You rock! sooo cute. thanks for your blog. i’ve learned so much. My son is in the Navy and just moved to a submarine base yesterday so this gift card would be awesome! Thank Gift Card looks pretty neat! Thanks! I would enjoy using the gift card!!! Baby came early! $50 would be so very helpful! Liked you on Facebook, would like you again if they’d let me! Thanks for the great giveaways!!! You rock!!! So cute, thanks for another awesome giveaway! I already like you on FB!!! Like Totally Target on facebook!!! Already like you on facebook, thanks for the second chance! Love your site. I’m addicted to it. I love Target, great giveaway! 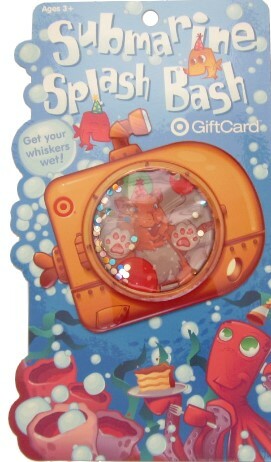 Cutest gift card! Love your blog! In less than two weeks we will be home owners… I’d used this to get some things for our new house! Already “like” Totally Target! Love the deals you share! awesome give away! Thanks for all you do for us! This would be so awesome if I won!